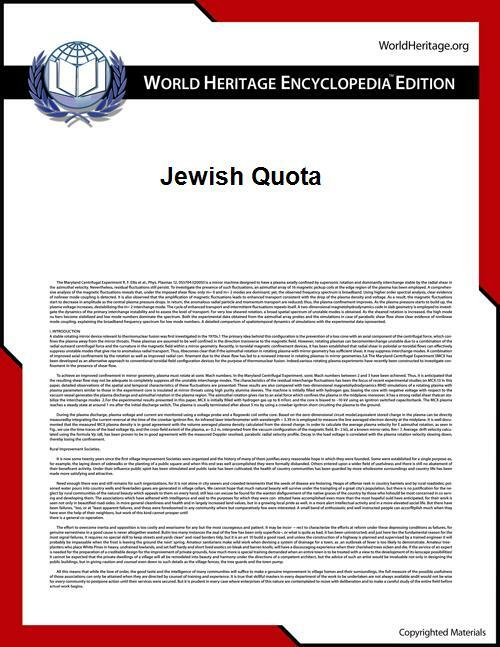 Jewish educational quotas could be state-wide law or adopted only in certain institutions, often unofficially. The limitation took the form of total prohibition of Jewish students, or of limiting the number of Jewish students so that their share in the students' population would not be larger than their share in the general population. In some establishments, the Jewish quota placed a limit on growth rather than set a fixed level of participation to be achieved. Imperial Russia: Numerus Clausus was enacted in 1887, stating that the share of Jewish students should be no more than 10 percent in cities where Jews were allowed to live, 5 percent in other cities, and only 3 percent in Moscow and St. Petersburg. These limitations were removed after the revolution of 1917.